What a blessed Lord's Day in Nakaale! We were rejoicing in the growth of our congregation. There were baptisms. There was a profession of faith. Three families stood before the church with their little ones. They took vows to raise them to love Jesus. In the case of one family, the mother was professing her faith and joining us. Her husband, Lomilo Paul, has been with us for a number of years. What joy to have his wife join him and to see them desiring as a family to live under the Lordship of Christ. Next week we will receive another member as Maruk Mark will profess his faith and join our congregation. God is good. We ask you to pray for much growth in His grace among us all. Click here for some pictures posted on our teammates' blog. We are saddened this week by the loss of two Karimojong friends. 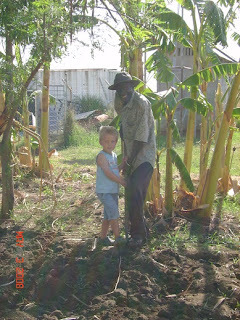 Ngikinyom (Iriama Peter), was a worker on our compound for many years. He was around 75 and like a jolly grandpa around here. He will be missed! 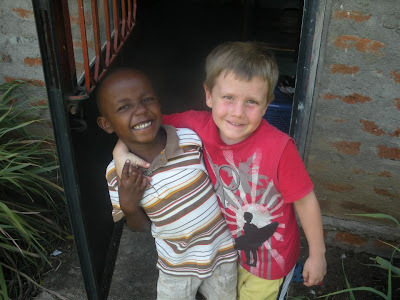 Also this week, our friend and faithful church member, Alinga Maria passed away. She had been ill for a long time and it was discovered last week it was terminal. The Lord took her more quickly than we anticipated, but she is free from her pain now and in His presence. Please pray for these families as they mourn and that through this the family members would know Christ.